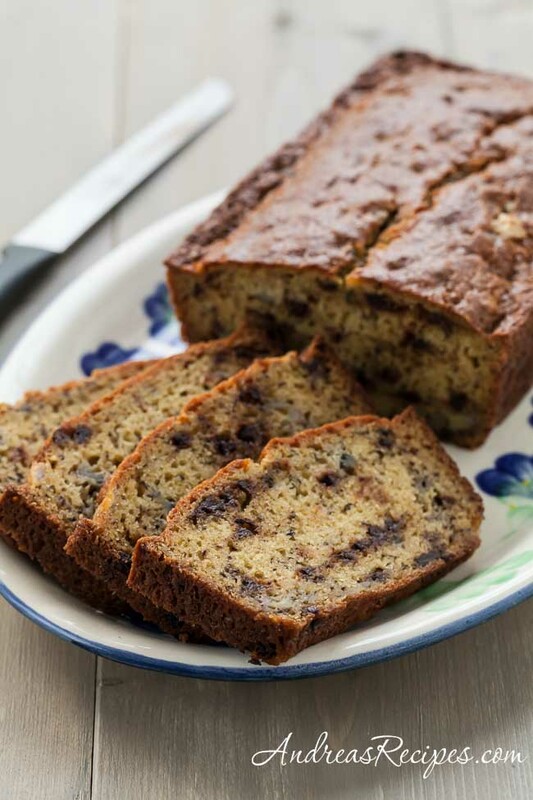 Of all the after school snacks our boys enjoy, this banana bread is at the top of their list, and they are always excited when we make it. I searched for a very long time for a recipe that satisfied me. Some recipes turned out too dry, while others were so moist that the inside took forever to finish cooking (or never did). 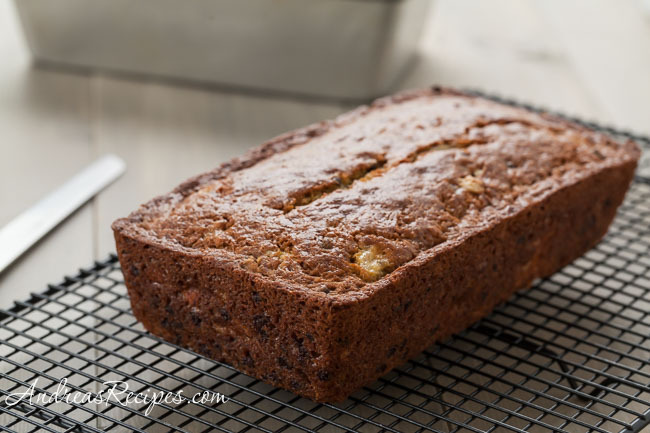 After many, many banana bread experiments, I settled on this recipe, and this is our favorite banana bread recipe now. My family loves it and my boys can’t keep their fingers away when I sliced it. I buy bags of overripe bananas at our neighborhood grocery store every week. They collect all the bananas on display that have brown spots and sell them for about 20 cents a pound, which is about a third of the regular price. We don’t mind because those bananas are soft and sweet, perfect for baking and smoothies. In the bowl of the stand mixer, cream the butter and sugar. Add the eggs, vanilla, banana, and yogurt. In the medium bowl, sift together the flour, soda, and salt. By hand, fold the flour mixture into the wet mixture just until the dry ingredients are incorporated. Be careful not to overmix, or the bread won’t peak. Pour batter into the prepared loaf pan and smooth the top. Bake for 60 minutes, or until toothpick comes out clean. Allow to cool in pan for about 10 minutes, then remove and finish cooling on a rack. Keep in the refrigerator. Can be wrapped in plastic wrap and stored in a freezer bag for up to 3 months. The bread freezes well, so if you have a lot of extra bananas, make a couple loaves to save for later. Just allow it to cool completely, wrap it well in plastic wrap, and store in freezer bags. That sounds delicious! My husband has been begging for banana bread for the longest time and I don’t have a decent recipe so I can’t wait to try this one out on him. Glad you’re back! I can’t wait to try this recipe. For a quick variation, I use unsaled trail mix (one with cranberries for fall). Good question Jan. I’ve never made it in a bread machine, nor do I own one anymore, so I’m not really sure.